I love Love LOVE Winter!!! I love Love LOVE Snow!!! They are digital and print ready! You get NINE different cards in the set (perfect for pocket letters) and you can print them out whatever size you need (watch my video!). I love that they look 3D....it just brings them to life! In my video I show how easy it is to use them and I share the pocket letter I made as well as the 2 cards so you can see how versatile these cards are. 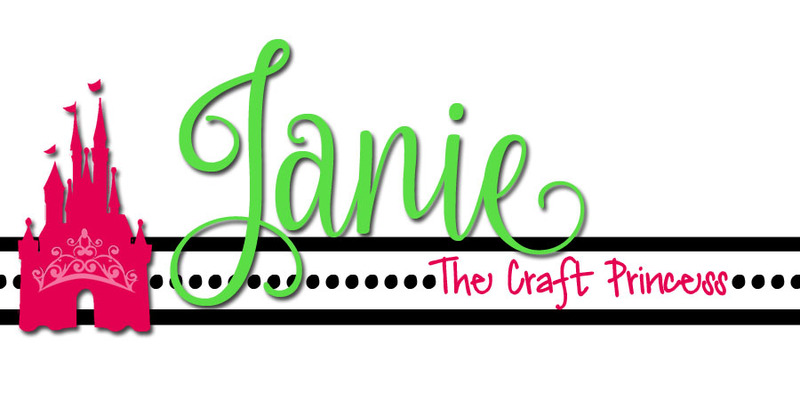 They would also be great for pocket scrapbooking, gift tags, and so much more!!! 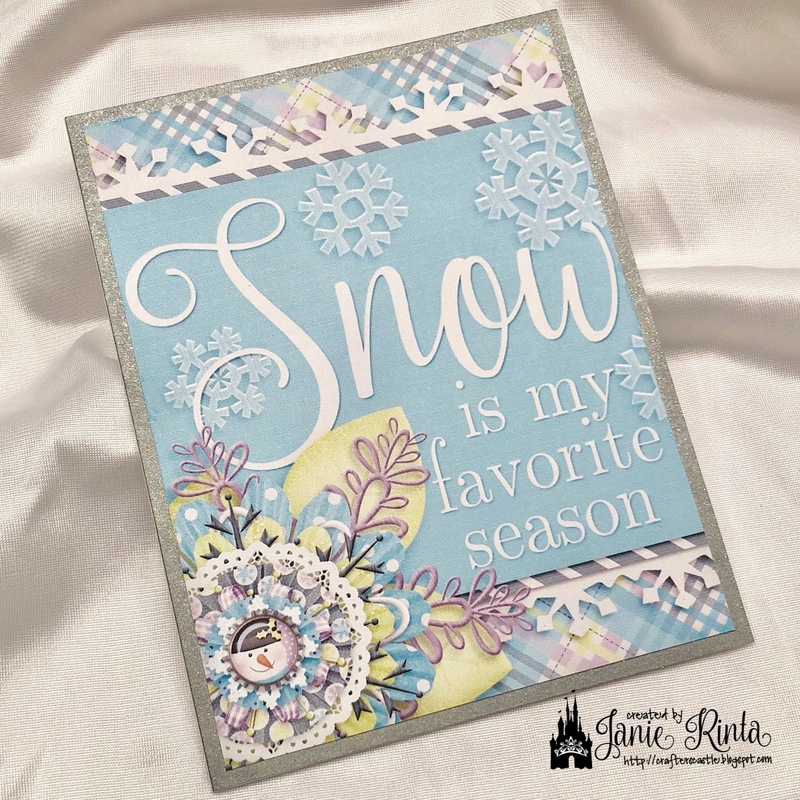 You can use them as is or add some embellishments of your own. 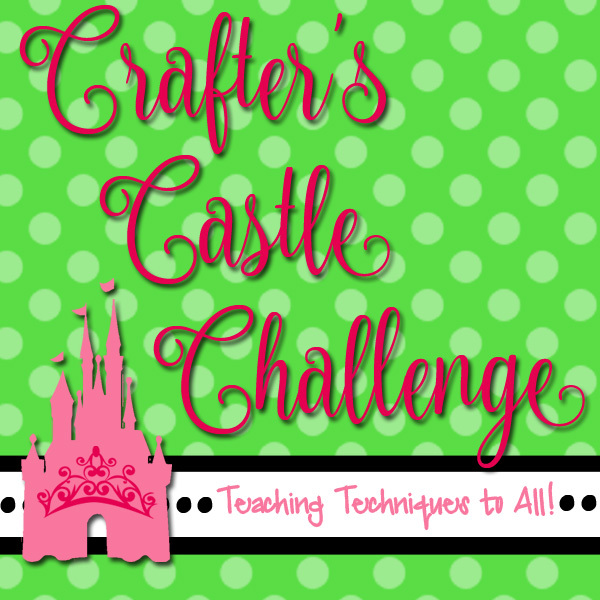 Please stop by Crafter's Castle Challenge to see what the rest of the design team has created for you! WOW all of your creations are adorable! 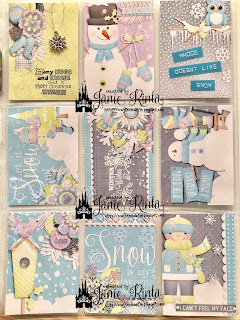 I love the images and soft colors, so cute! Thanks for joining us at Back to Basics and Beyond. Very pretty cards. 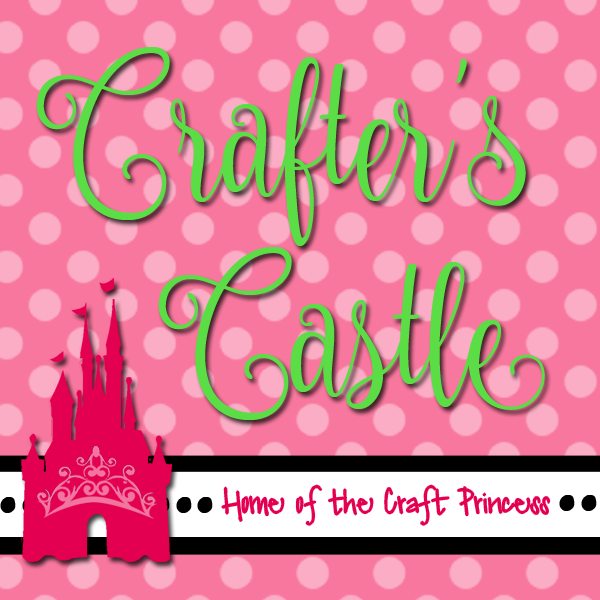 Thanks for joining us at 4 Crafty Chicks! 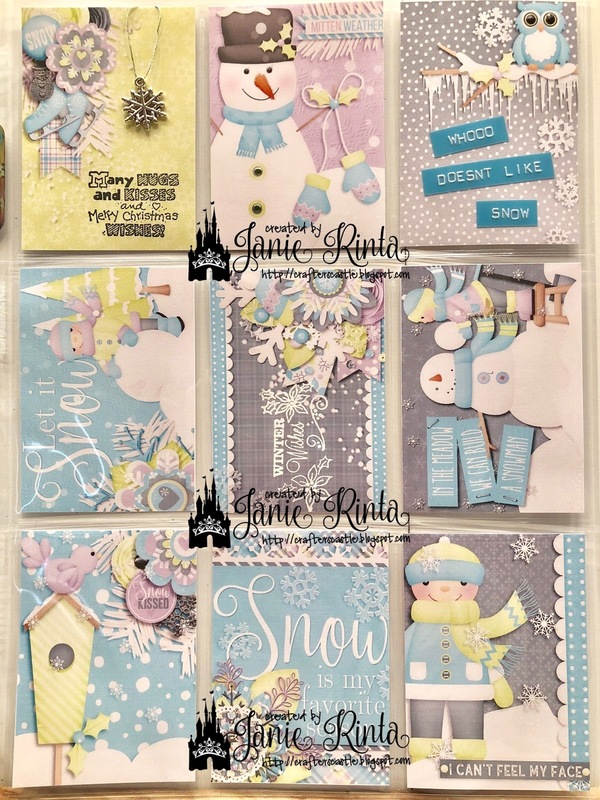 Beautiful cards Janie. I also love playing in the snow - wish it snowed down here more in Australia!! Beautiful creations, Janie, and so sweet in their loveliness! 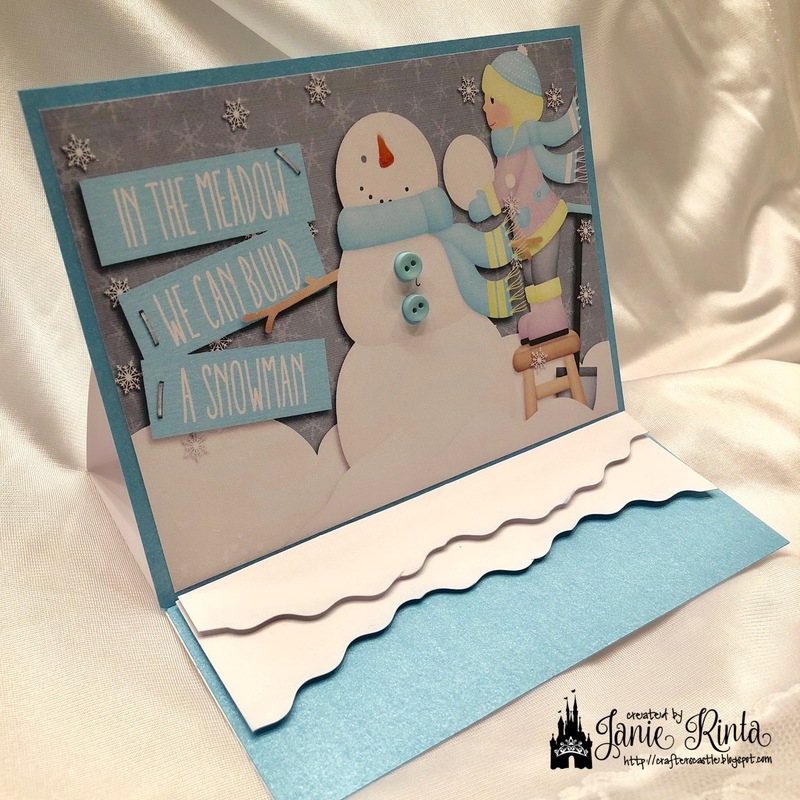 Thanks for uploading your fabulous creation to Back to Basics and Beyond Challenges. I hope we will see more of your artwork in our future challenges. 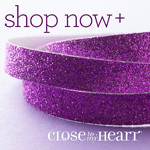 Be sure to check back later to see if you have won! Beautiful card and such a clever design - love it!